56 Meadow Stream Ln. Photo courtesy of Realtor.com. Looking to own some real estate in the area? Or maybe just a new place to call home? 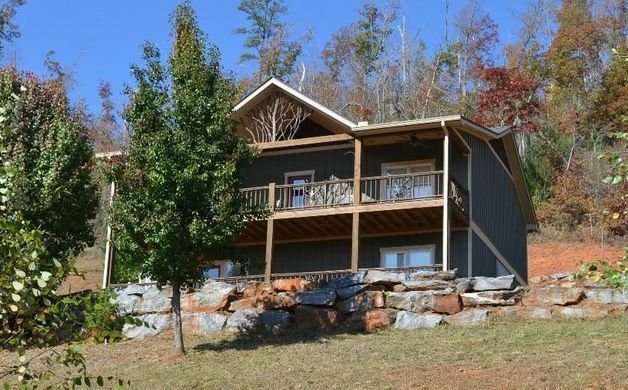 Compiled here are 5 Rabun County houses for sale, ranging from $189,000 to $325,000, as featured on Realtor.com. 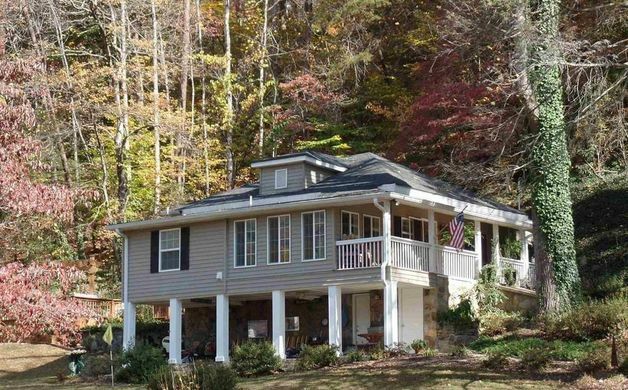 Wonderful home for year-around living in one of the best locations in Rabun County. Huge yard, paved access, and just minutes to shopping and schools. Extremely efficient well-built home, definitely a must see! 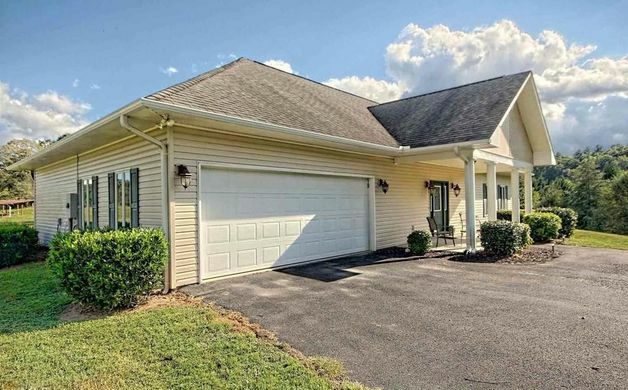 3 beds; 3 full baths; 2,209 sq ft; 1.58 acres lot; Built 1999. Views of Mountains and Lake Burton. 2500 sq ft of quality living. 3br/2.5 bath. Generous master suite, wood floors throughout. Granite counter tops w/ live-edge bar and metal tiled back splash in the kitchen. Vaulted ceiling with pickled pine. Double decker porches. Metal roof and fairly new appliances. 1.21 leased acres from GA Power, $525/year. Rustic touches with log and tree spindles and rails. Private well. Open land with a garden area. Easy access to Lake Burton through LaPrade's. 3 beds; 2 full , 1 half baths; 1.21 acres lot; Built 1995. Mountain Views! A well maintained 3 beds, 3 bath sitting in the middle of 2 wooded lots. Paved drive with plenty of parking. Kitchen level access. Row of extra large windows in the living room exposing the long range mountain views, generously sized bed rooms, walk in closets. Lots of storage space scattered throughout. Laundry hookup upstairs in the kitchen and full laundry room downstairs. The lower level features a huge living area, bedroom and full bath. Recently replaced decks off both levels. 3 beds; 3 full baths; 2,048 sq ft; 1.27 acres lot; Built 1981. 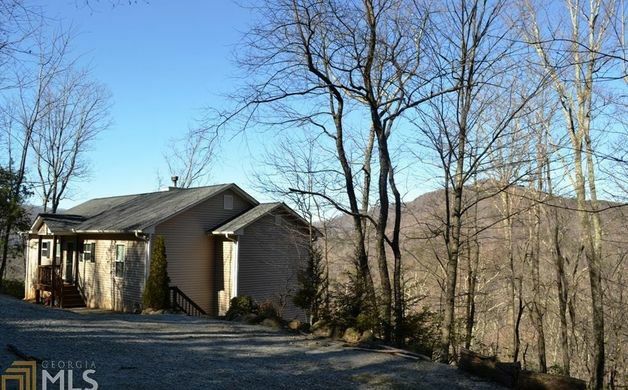 Beautiful views from this lovely spacious mountain home! Enjoy the peace and quiet as you sit on your deck for early morning coffee! Three bedrooms on main level with the split floor plan. Open living, kitchen and dining leads out to the large deck. One bedroom, family room and full bath on lower level with deck. Lots of space for living in this lovely mountain home. There are two lots with this home, lots 361 and 362 and you will find where the owner has cleared for enjoying sitting by the campfire at night! 4 beds; 3 full baths; 2,052 sq ft; Built 2006. Beautiful setting along the creek nestled at the base of Black Rock Mountain. 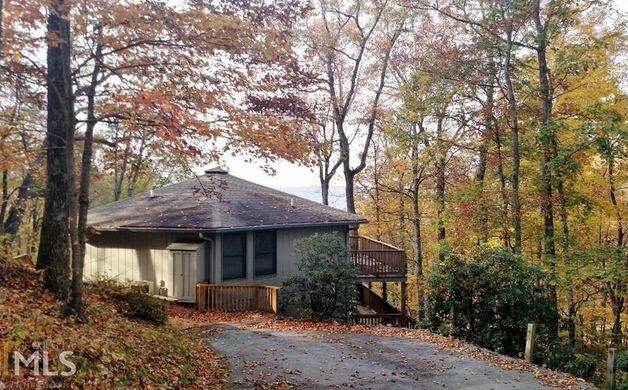 Paved access welcomes you to this 1923 renovated home with mountain views. Hardwood floors in the den, bedrooms and kitchen. Enjoy sunroom with large tile floors and views of mountains. Kitchen features solid surface counters, wood floors and ceilings. Outdoor living space abounds with spacious deck, covered porches and 2 gazebos. Workshop in basement with half bath. Walk to churches, library, restaurants and shops. 3 beds; 2 full , 1 half baths; 1,360 sq ft; 2.1 acres lot; Built 1923.